If you have ever had to go through the effects of a deceased relative, one of the most difficult tasks is deciding what to do with the photos. These photographs are a visual record of what mattered to someone. The real issue is what to do with them but the more interesting issue is trying to figure out what mattered to them. 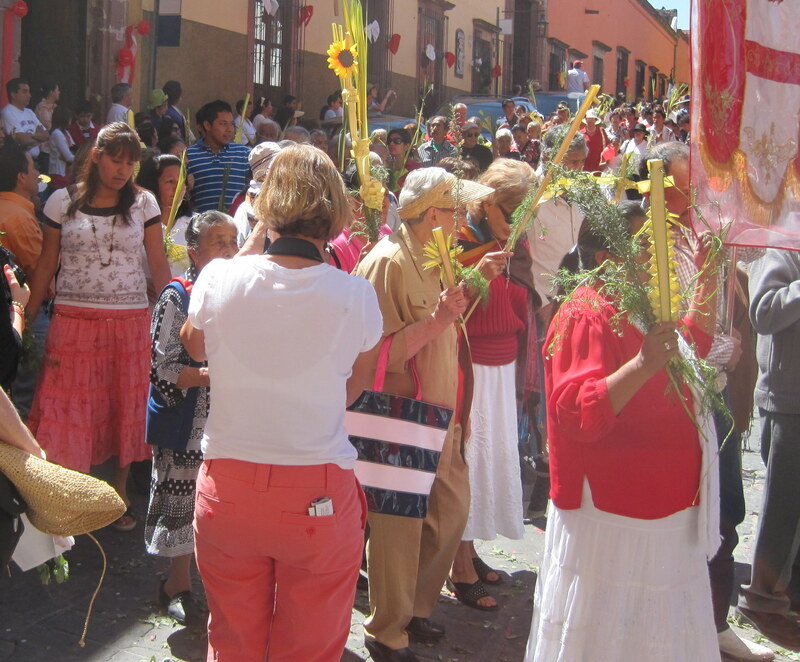 Billie Mercer is a wonderful photographer in San Miguel and her blog shows you what matters to her. And the difference between a great photographer and a not so great one is not that hard to figure out. This was one of the most downloaded pictures from Flickr over the last seven days. 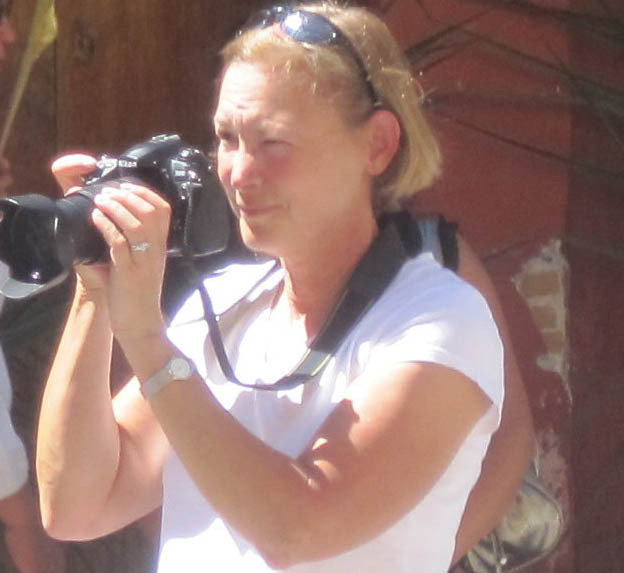 Now, twenty one years later when Stephanie goes through her late Aunt Doris’ pictures she will find this picture from Doris’ trip to San Miguel with the girls in 2009. But Doris won’t be in it. In fact Stephanie won’t have a clue who these long gone Girls are nor will she know that Doris took the picture. Or even better, what if she just had one of Aunt Doris the Photographer and no Long Gone Girls. 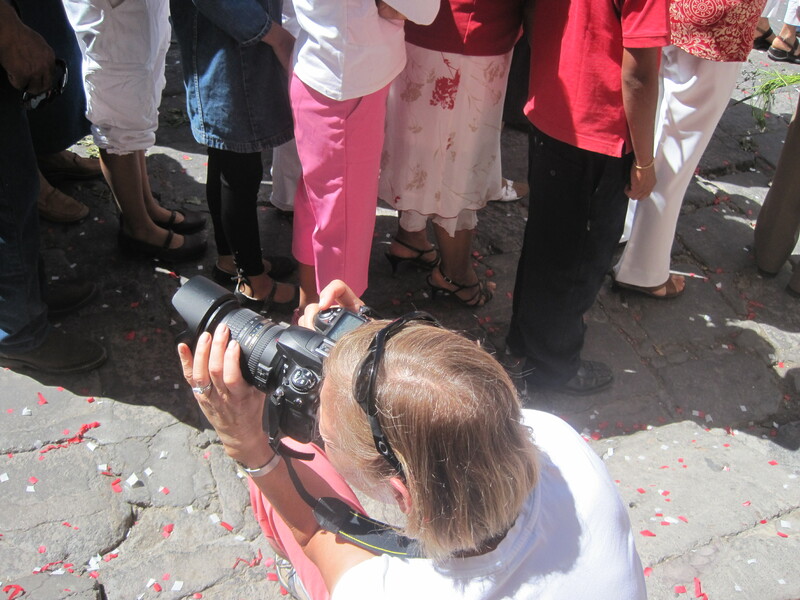 So the Photography Gang has decided to add a new feature to a visit to San Miguel. Everyone has one of these pictures of themselves or their children or their grand children. They are one of those rite of passage photographs that complete someone’s life and would never be tossed nor matter how unattractive the children are. 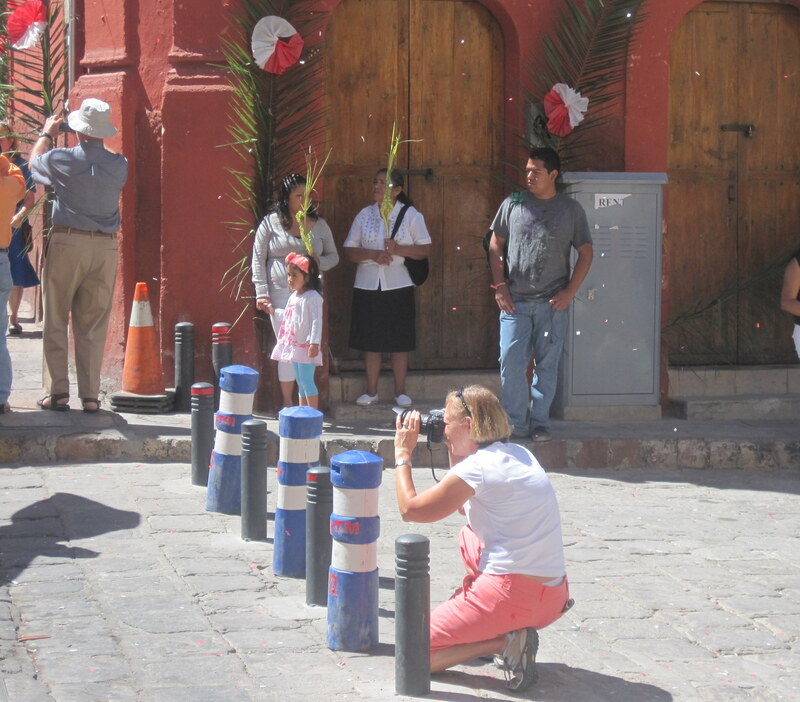 The Photography Gang of San Miguel has decided to add a new feature for Tourists who visit to San Miguel called Photographing the Photographers . 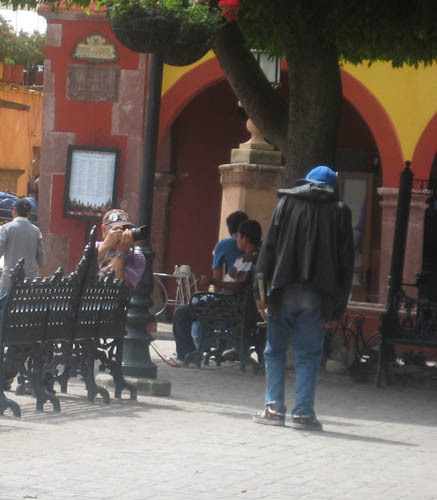 When you visit San Miguel you will receive a Photo of yourself taking a Photo. It is quite brilliant. 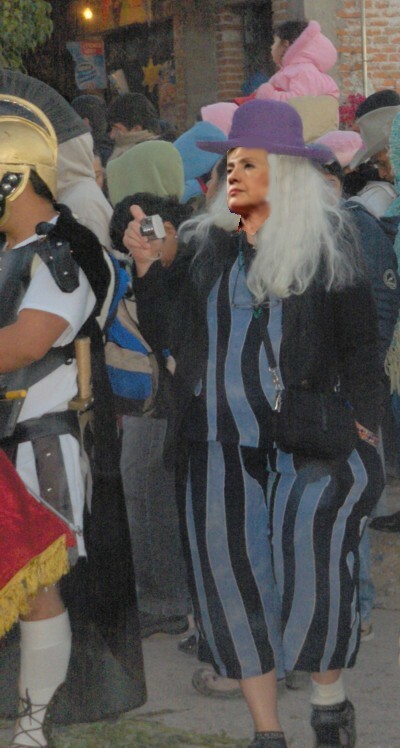 Try to find a picture of Billie Mercer on her Blog. The photographer needs to be photographed. 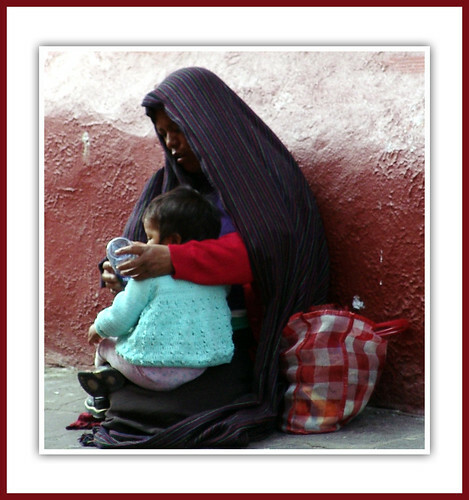 Children are hard to find in San Miguel. 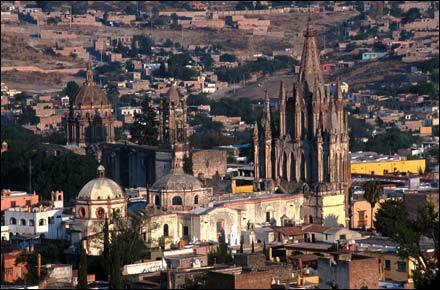 San Miguel is just row and after row of old people. So a group of children and a group of children who will pose is a real find and will often draw a crowd. Here Theresa has found a group of travelling posable children for her friends. She direct the children to be cute and and mug for the Gringos. The children, who often don’t have a lot to do on Sunday, often come to this location where they know they will find Gringos and will go home this evening with no pictures but many stories about the Silly Ones. Now imagine, being back home and taking pictures of children to show people. And where at home, can you find a band of travelling posable children. Their parents simply keep them locked up and in lessons so you can’t photograph them. But then wouldn’t you find someone wanting to take a picture of your children odd. Oh well, travelling does change people and does create the Complete Idiot. Gangs have initiation activities for new members. First the clothes – you have to buy a Man’s Straw Hat and then a pair of Cocktail Combat Sandals. 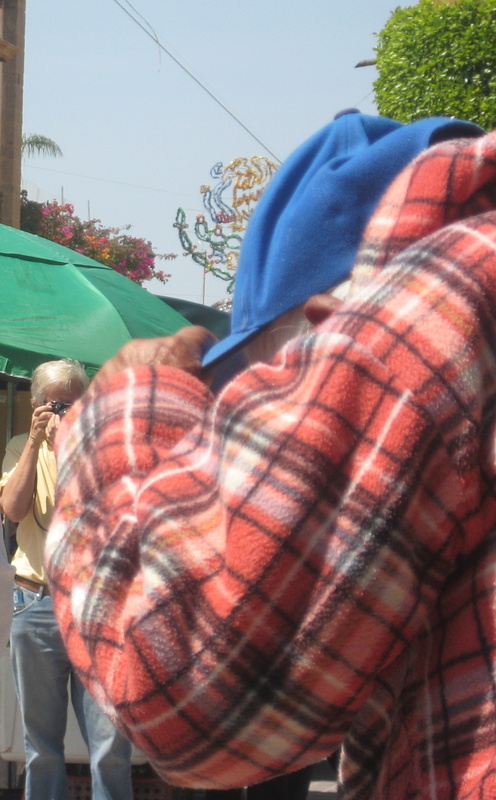 Dressed in Gang Clothes, your next task is to go to the Jardin to capture Local Color. This Gang Noviate has heard and then seen the guitar singer. 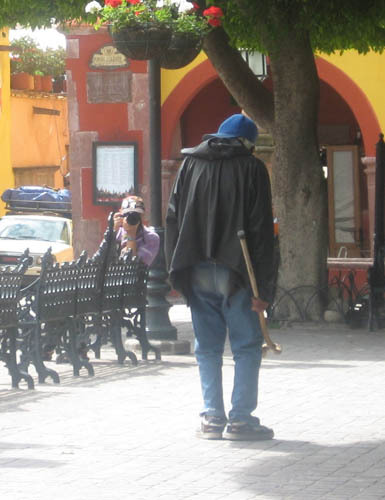 Politely, she walks over to him, to ask permission to take his picture. She aims her camera and takes the first snap. Her body tingles with that first push on the camera button and in her Gang Heart she believes that she is now an artist. She has chosen well her first subject – local color. She is now possessed with the spirit of Diane Arbus and is a changed woman. 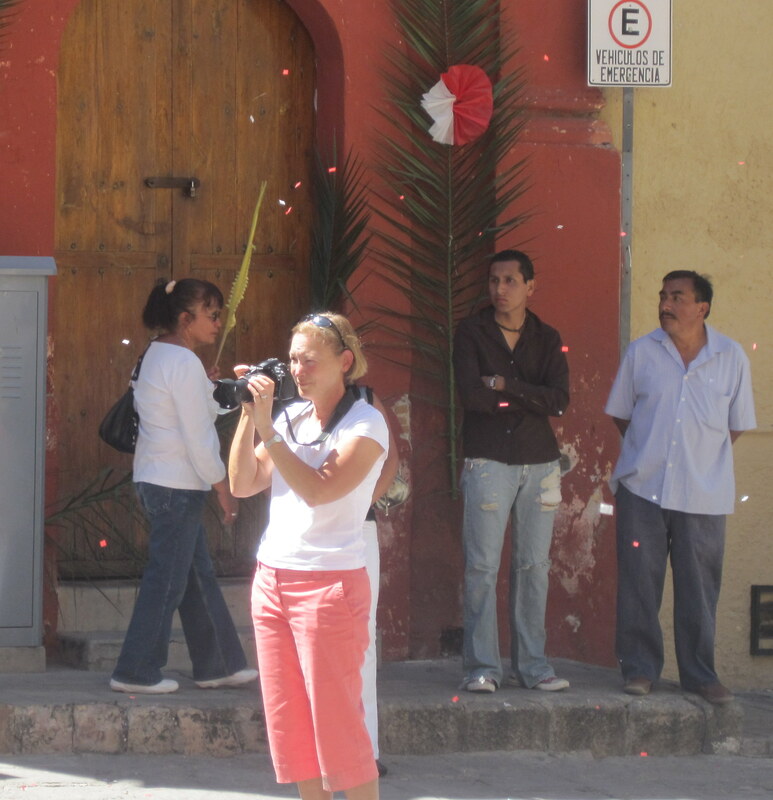 Instead of the timid, noviate gang member she becomes the Photographer. 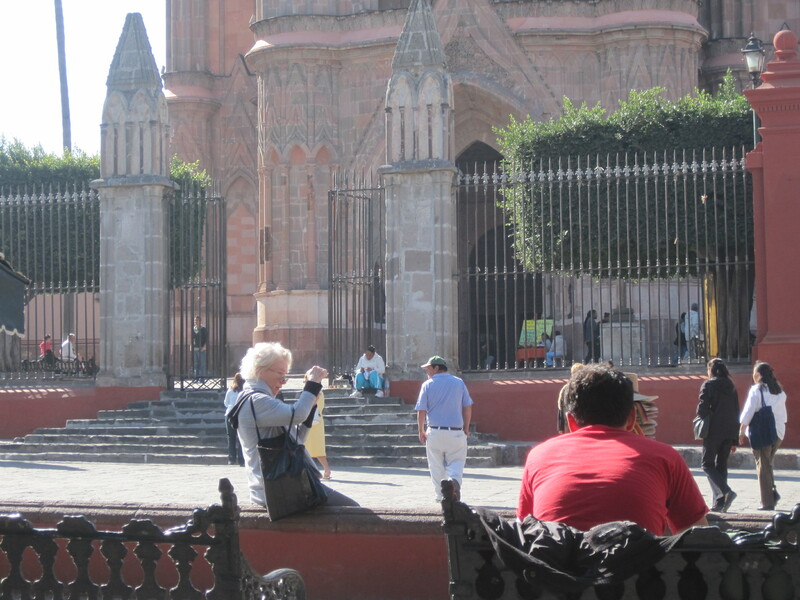 She channels more Diane Arbus and readies herself for the next shot of the Parroquia. Nothing will be the same, after she assumes the position. As we cross the threshold into digital photography it seems to me that the need for compositional honesty is more of an issue than ever before. Next to the snapshot, I know of no other photographic realm that lends itself to this idea more completely than those unrehearsed and spontaneous photographs made upon the social tableaux of the sidewalk. THE STREET-SHOOTER’S GUIDEBOOK explores the rudiments as well as more than a few finer points of this type of work with topics such as WHAT IS LEGAL, WHAT IS ETHICAL, SAFETY, COURAGE, IS IT FOR YOU?, GETTING AWAY WITH IT and others. The middle part of the GUIDEBOOK is devoted to a portfolio of twenty photographs made on the street and which illustrate points in the text. In the event that the reader desires more of a disciplined learning experience the GUIDEBOOK is laid out with eleven assignments as they are given in class. Interspersed throughout the text are over a dozen student observations as they relate to “the missed shot”, as well as several essays penned by the author over the past twenty-six years and which concern street and social-documentary work. 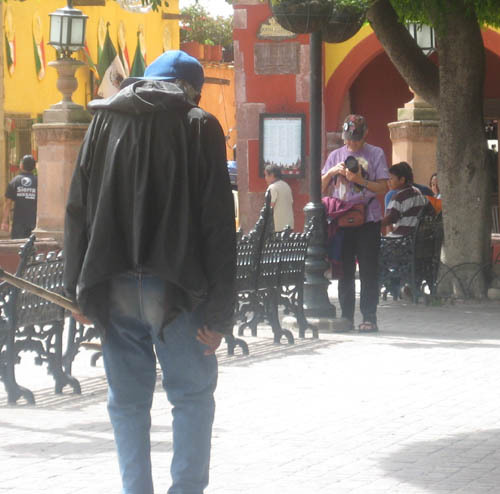 Here is our San Miguel Street Shooter in the Jardin. 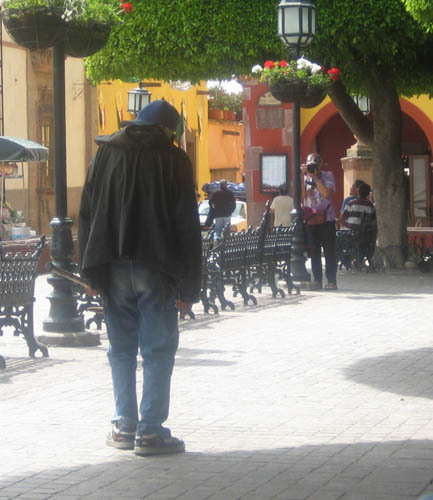 Without a shred of embarassment (appears the book above teaches you how to get rid of shame) our Diane Arbus wannabe decided to photograph the gentleman who chants (apparently anti Expat chants) every day in the Jardin. Not content to merely get a shot from afar with her telephoto lens, she gets readies her camera as he gets closer. Appears that 10 feet gets the best shot. He is watching her and still she shoots. At this point I am hoping he will use the cane on the camera. 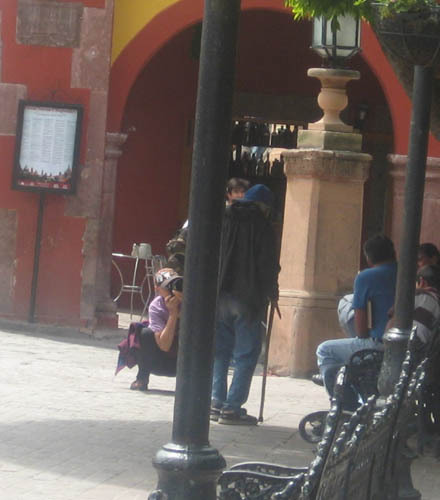 And then she crouches to get the money shot. This is the best shot I can get of her but will keep my lens pointed so I can a full shot of this sad little photographer. Sitting in the Jardin with a canvas, easel and paints opens you to inspection and judgment. But carrying a huge camera where the picture is locked inside gives you the appearance of an artist without the judgment. Find a tripod and you have found this gang. 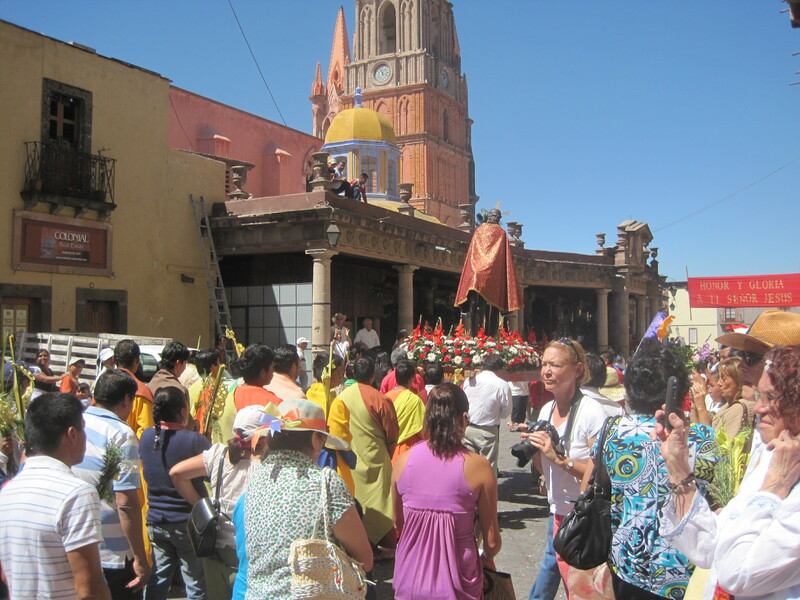 These photographers are posed in front of the San Juan de Dios procession on March 9 oblivious to feelings of the people attending the event. The first picture is courtesy of Marjorie Maynes of Des Moines. She took it as part of her composition course in Photography. 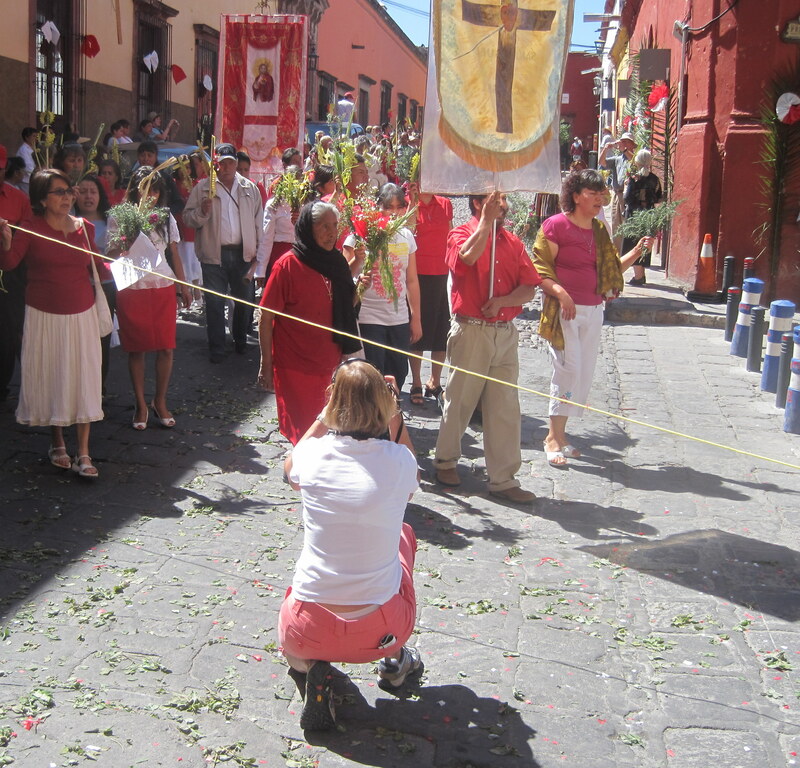 This group of photographers had some fun with the procession route. They stood right in front of the procession, only moving at the last moment. Jesus looked really nervous. 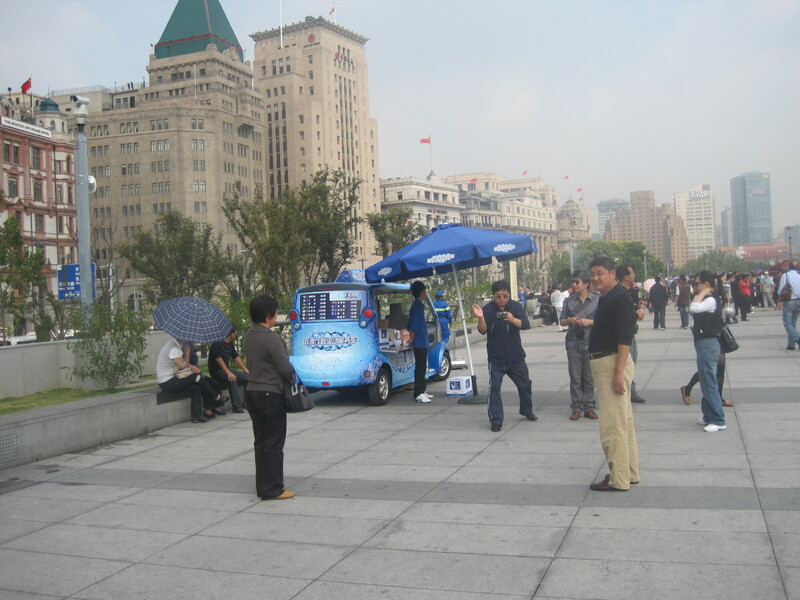 Once that fun was over they moved to the Jardin to further intrude into people’s lives. Finally they left the Jardin to find more “local” pictures to take. Photographers lurk everywhere looking for that “Special Photo”. These photographers seem unable to understand how the taking of their “interesting” little pictures shows a complete disregard for the feelings and integrity of the photographed.